Picture this — it’s Monday morning and you have to give a major presentation to the rest of the office. You spend hours in front of the computer researching statistics and jotting down ideas onto a stack of notecards. As you move through each point of your presentation, you notice the attention of a worker has wandered to the bird outside the window. Another fiddles with the pen on his desk. You wonder how anyone could think about anything else when you are giving such an interesting, original and well-researched presentation. It’s true, facts and statistics are crucial to support big ideas – but if you ask me, how you present that information is going to make a significant difference in how your ideas are received. Infographics are a great way to present business information to your audience because they are both eye-catching and engaging. But what are infographics anyway? 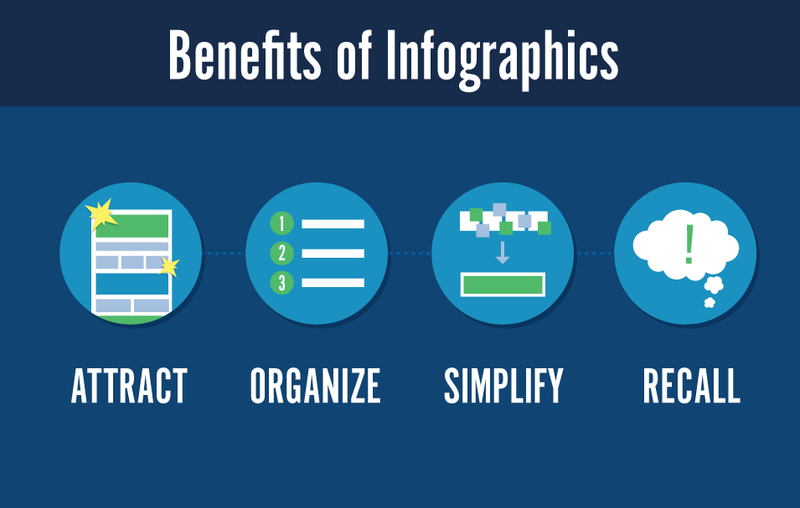 In their simplest forms, infographics are visual representations of information or data. Those that are truly successful incorporate a storyline that ties together all of the pieces and guides the reader through a beginning, middle and end. With the right infographic, you’ll have your audience’s full attention all the way through you presentation. Check out our infographic on design terms for an example. Highly visual content attracts the viewer’s attention. Use this to your advantage when sharing on social media. Organizing data into sections gives the content structure to lead the viewer through the information in a logical order. Icons, charts, and other visuals help to simplify complicated data so that it is quickly absorbed. 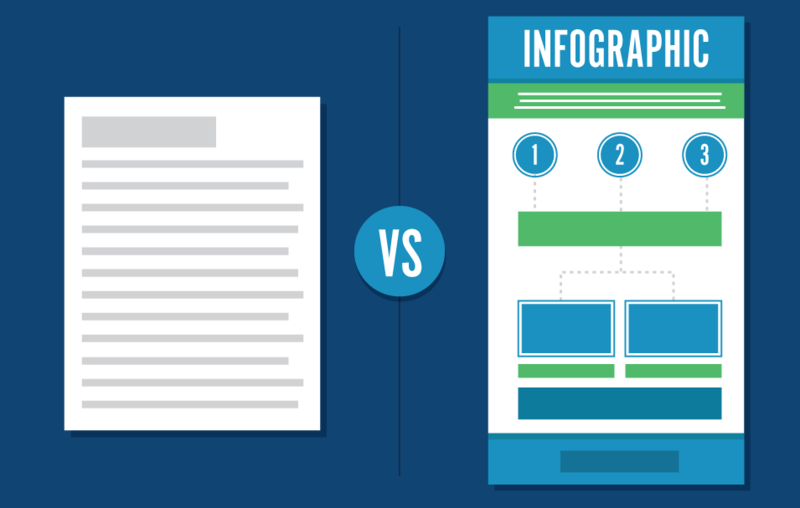 Information accompanied by a visual is more likely to be remembered. Have a distinct color palette. It doesn’t always have to be branded strictly to your business, but using color patterns throughout can help to organize the information. Use hierarchy to help important words and numbers stand out. Using a bright, highlighting color or a larger font will accomplish this. Limit copy. Information should be easily scanned in a few seconds. Too much copy will slow the viewers down and make them more likely to skip over that section. Use pictograms or pie charts to emphasize statistics and percentages. Incorporate a particular illustration style, color palette, or typeface to create a piece of branded content. 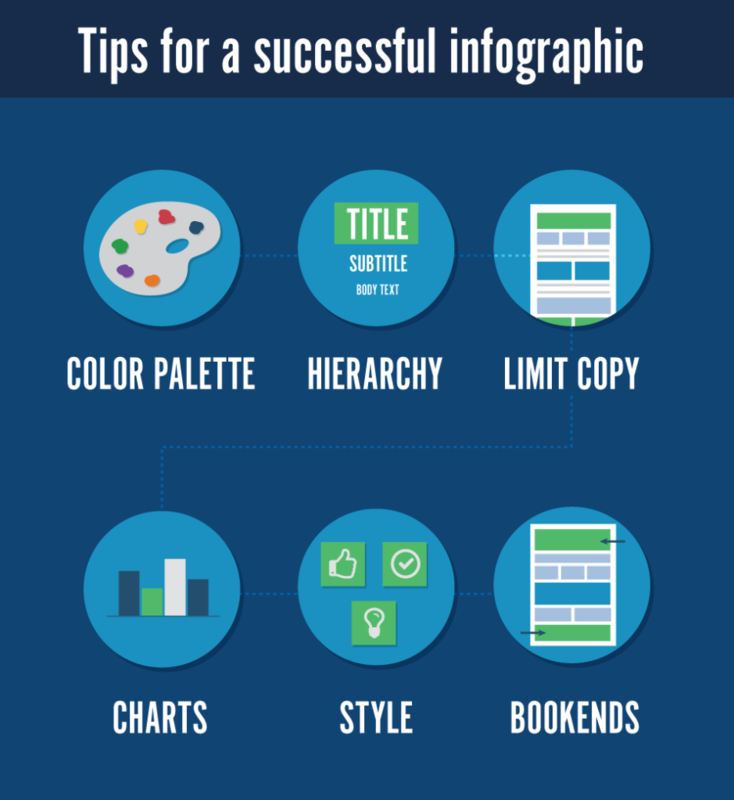 Create “bookends” for your infographic to both introduce and summarize your content. With the right tools, even the most complicated information can be transformed into a well-presented infographic. Here at Springboard, we work to handle content marketing and digital design to create successful campaigns that help your business grow. If you are interested in learning more about how we can help you achieve your marketing and design goals, please contact us.